As Thanksgiving approaches, I’m reflecting on some of the work I’ve done for the pro-life movement. I’m reviewing the hundreds of letters and commentaries I’ve written over the course of the last several years. As I’ve said before; when I go back and read pieces I wrote a couple years ago, it’s like I’m reading them for the first time. I honestly don’t remember writing the following piece 2 years ago, but I could change the date, and nothing has changed. Maybe it’s because I’m getting older. Maybe it’s because I continue to think about the innocent victims of our abortion culture every hour of every day. I’m convinced that when the practice of abortion ends, the horrible visions that haunt me will end as well. Until then, I’ll continue to search for my place in the Master Plan. Call it God, call it Universal Intelligence, call it whatever you want. An organizing force or being beyond our comprehension set each of our lives into motion. This organizing force or being that I choose to call God granted each of us His animating spark of life for reasons known only to Him. The free will we were granted, along with the gift of life, allows us to choose the direction we take for the days we’ve been given. If we listen closely to the infallible inner voice that resides deep within each of us, we will find our purpose and devote ourselves to our role in His master plan. It takes longer for some of us than others to discover our role. Some of us never do. I was well into my fifties before I realized that my calling in this life was to protect children and to end the elective killing of them by the world’s abortion providers. My calling has become my obsession and I struggle daily to understand why I was chosen to do this. I’ve been blessed and cursed with a vivid imagination that allows me to feel the pain and to hear the silent screams of the abortion industry’s tiny victims. I can see the assembly line of death that ends the beating of thousands of little hearts every day. I see through their tiny eyes what they see as the deadly instrument that will kill them moves closer, knowing that they are helpless and must depend entirely upon others to defend their Right to life. I can feel the sense of doom that I know some babies feel as their mother walks into an abortion clinic, and the fear they feel as the procedure that will kill them begins. I cry daily for every dead child and try to understand what their role is in the master plan. 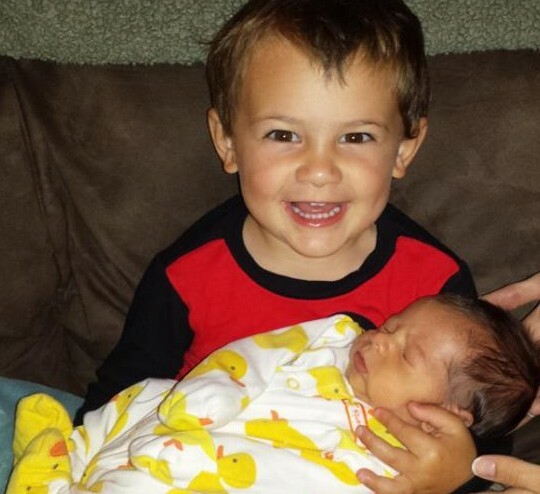 I hug my grandsons and know that nothing in my life is more important than fighting to end the practice of abortion and shining the light of truth on the culture of death that allows our children to be legally killed. The end result of God’s master plan is known only to Him. It will play out at His timing. Those among us who feel that the elective killing of our unborn children is justified are saying with their actions that God made a mistake when He granted the gift of life to a child that dies by abortion. By their actions they are deciding who should live and who should die, even while they embrace the gift of life they were given. Therein lies the mystery of mysteries. God could end the practice of abortion in the wink of an eye, but He allows it play out and leaves it to us to find the solution. I accept on faith that His master plan is flawless and commit the rest of my life to performing my role to the best of my ability. Every day as I work at the job that makes me money, I think about the job I have chosen, and was chosen for; a job that I want no compensation for, other than results. The master plan may be for me to achieve measurable results towards ending abortion; I don’t know. All I know is that I’m doing what I know in my heart I am here at this time and this place to do.